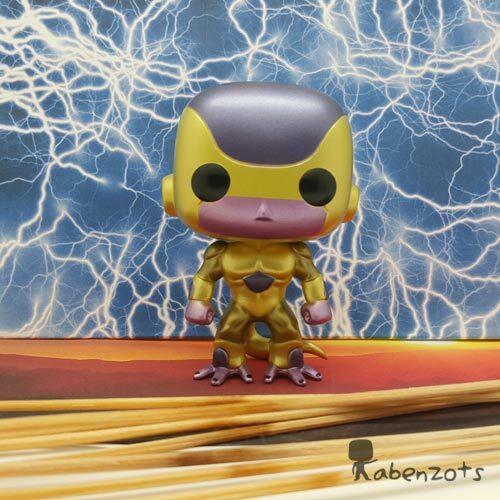 Funko Pop Golden Frieza EXCLUSIVE (metallic) of the Convention Funko Summer 2015, of Animation series, dedicated to the anime Dragon Ball Z. Represents the evil Frieza, in its new fifth and final form, Golden Frieza, who gets in “The Resurrection of F “. 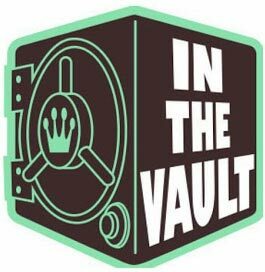 THIS PRODUCT IS THIS PRODUCT IS “IN THE VAULT”, IT MEANING IS SOLD OUT AND FUNKO NOT RETURN TO EDITING. Funko Pop Golden Frieza EXCLUSIVE (metallic) of the Convention Funko Summer 2015, of Animation series, dedicated to the anime Dragon Ball Z. Represents the evil Frieza, in its new fifth and final form, Golden Frieza, who gets in “The Resurrection of F “. With this form, Frieza increases its power considerably, increases your height, your skin becomes golden almost completely, except for the area of your mouth, hands and feet are now purple.